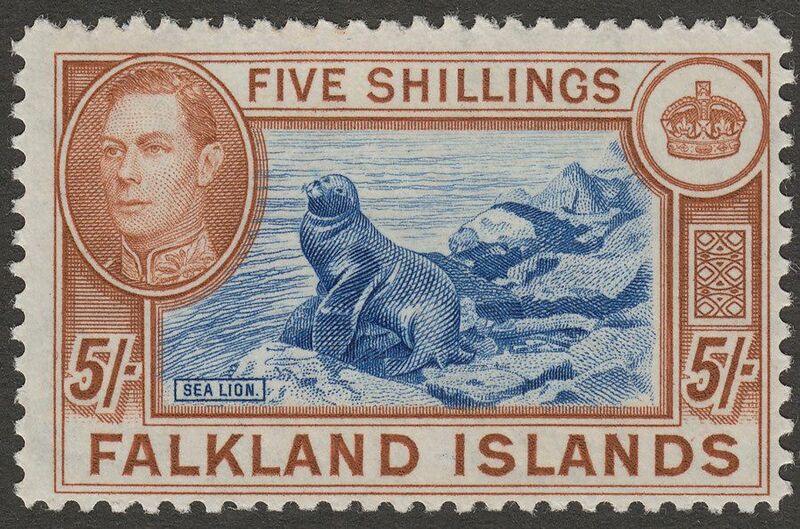 King George VI Southern Sealion 5sh steel blue and brown-buff on thin paper mint. The fourth printing with white paper clearly showing the watermark and with the deepest brown shade. 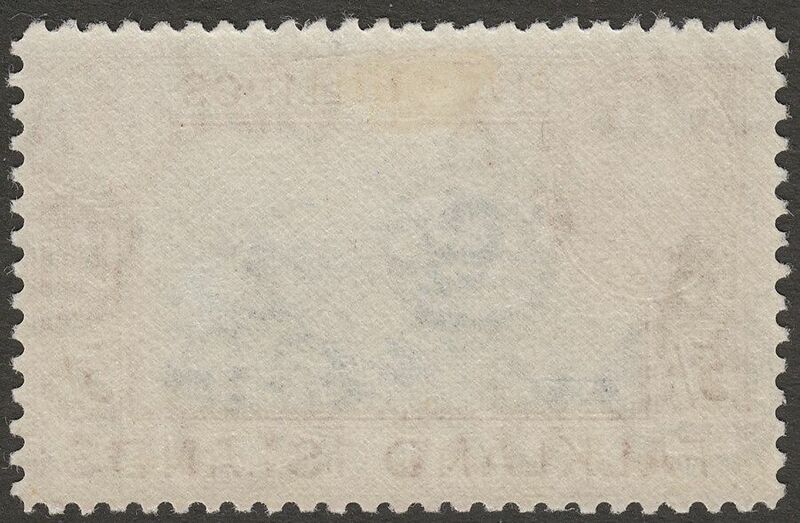 Lightly mounted mint with part hinge remnant.